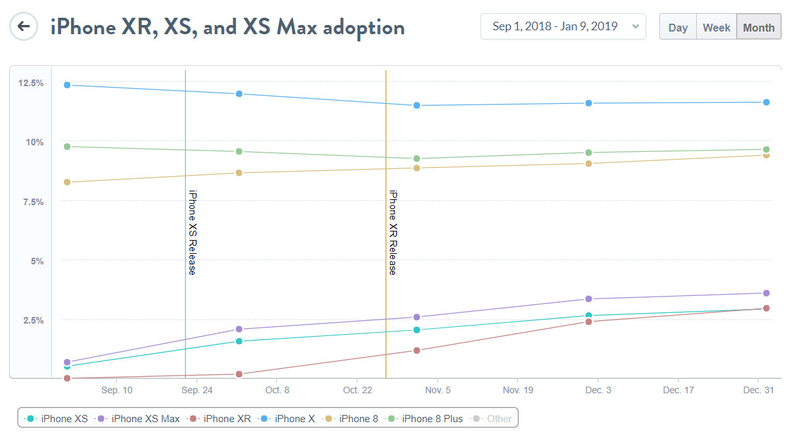 Despite reaching consumers over one month after the iPhone XS and iPhone XS Max, data obtained by MixPanel (via CultOfMac) suggests the iPhone XR has already outsold one of these devices. 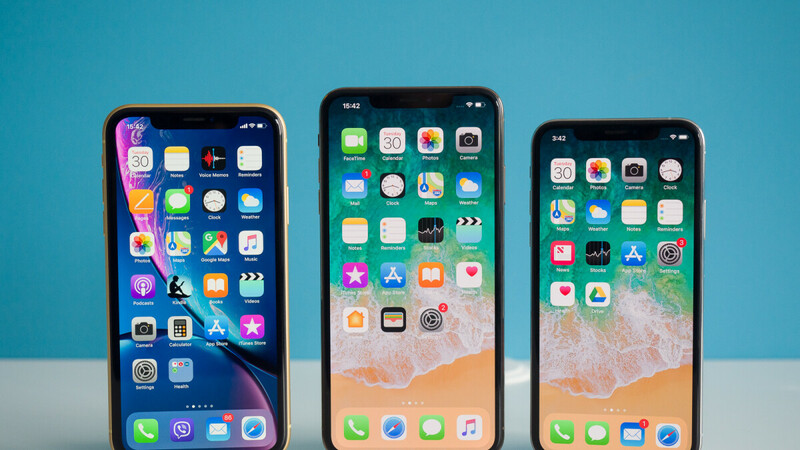 Particularly, the data shows that the iPhone XR is now more popular than the iPhone XS and, if the model’s growth continues at its current rate, it shouldn’t be too long before its user base is larger than that of the iPhone XS Max. Going by the data, the iPhone XR’s initial popularity was on par with that of the iPhone XS Max. But unlike the latter model and its smaller sibling, the iPhone XR’s growth continued throughout the entire second month. Naturally, sales did slow slightly in December after the initial boom eased off but the data suggests that it still outpaced the growth rate of the iPhone XS Max. As a result of this, it seems the iPhone XR is on track to become the most popular 2018 iPhone by next month. Looking at the market share of older models, both the iPhone X and iPhone 8 Plus experienced a drop in market share after the respective iPhone XS and iPhone XR releases. However, since November the popularity of both models has been on the rise, as has that of the smaller iPhone 8. The news of the iPhone XR’s growing popularity comes shortly after CEO Tim Cook announced that it has been the best-selling model every day since its release. It also comes just hours after the Cupertino-based company slashed prices of iPhone 8, iPhone XR, and iPhone XS models in China in a bit to boost sales. A watered down camera, terrible LCD display quality (for an iPhone anyway) and screen resolution that dates back to 2012 on a huge device. That’s just crazy. They could’ve done better for their consumer base. Many people say iphone 8 is better than xr. I'm not surprised if tim remove iphone 8 to boost xr sales. Iphone user ae rich people...then why don't they aforrd XS. They are, more people buying XS and XS Max combined than XR. Tim cook: Xr will be our best selling phone for 2019. Investor: We're expecting massive profits from xs and xs max, nickel head.